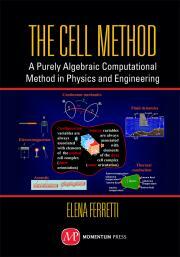 The Cell Method (CM) is a computational tool that maintains critical multidimensional attributes of physical phenomena in analysis. This information is neglected in the differential formulations of the classical approaches of finite element, boundary element, finite volume, and finite difference analysis, often leading to numerical instabilities and spurious results. This book highlights the central theoretical concepts of the CM that preserve a more accurate and precise representation of the geometric and topological features of variables for practical problem solving. Important applications occur in fields such as electromagnetics, electrodynamics, solid mechanics and fluids. CM addresses non-locality in continuum mechanics, an especially important circumstance in modeling heterogeneous materials. Professional engineers and scientists, as well as graduate students, are offered: * A general overview of physics and its mathematical descriptions; * Guidance on how to build direct, discrete formulations; * Coverage of the governing equations of the CM, including nonlocality; * Explanations of the use of Tonti diagrams; and * References for further reading. Elena Ferretti is an Assistant Professor in the School of Engineering and Architecture, Alma Mater Studiorum – University of Bologna, Italy. Her research focuses on the development of numerical codes for fracture mechanics in brittle heterogeneous materials, based on the relationship between non-local approaches and discrete formulations. She is the author or coauthor of numerous conference and journal publications and is the recipient of the 2009 ICCES / S. Ramanujan Young Investigator Award in Computation for 2009.